BP: the worst brand positioning mistake since the Holy Roman Empire? For 60+ days, I’ve avoided writing a post about BP. I’ve been devastated, as I’m sure many of you have, by what has been happening in the Gulf of Mexico. We’ve all been inundated with news and stories, most of them depressing, about real lives—people, animal, plant—altered forever by the Deepwater Horizon accident. 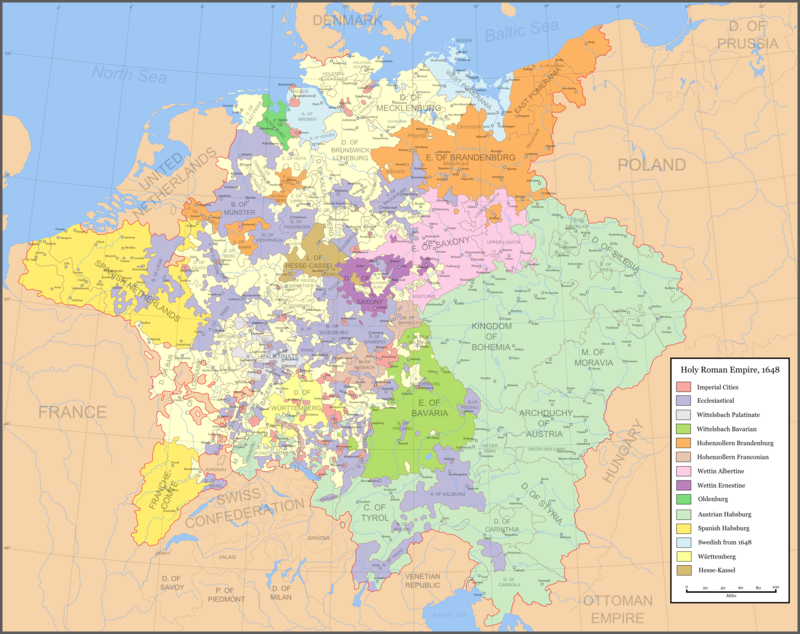 Holy Roman Empire = neither holy, nor Roman, nor empire. BP = not beyond petroleum. Why think about brand damage when there is so much catastrophic real damage still happening as I write this post? But after having several people ask me about it over the last few weeks, I thought I’d share some of my thoughts as well as some of the articles I’ve been reading about BP’s brand positioning debacle. It may prove to be one of the most important, albeit sad, brand positioning lessons ever. My view? Not since the Holy Roman Empire has there been a greater misalignment between brand promise and brand experience than we see today with BP. If the Holy Roman Empire was neither Holy, nor Roman, nor an Empire, BP has certainly proven itself to not be Beyond Petroleum. Why did I put this goal in quotes? Because I took it directly from the BP “success story” which is still up on Ogilvy & Mather’s website (someone might want to get that down…update: 9-27-10: it looks like now they have!). The story goes on to say that the launch of the new brand position “far exceeded expectations” and resulted in high brand credibility and favorability scores and two (!) PR Week Campaign of the Year awards. One nice thing about this new gig blogging over at opensource.com is it gives me some room to go back to my brand and culture roots here at Dark Matter Matters. So today we return again to my favorite subject: brand positioning. Specifically, I want to cover one of the scariest brand positioning mistakes a company can make– abandoning the position that got them where they are before they’ve established a credible new position. You’ve seen it before. You walk into a meeting with a new advertising agency or an overzealous marketing executive, and, with great dramatic effect, they say something akin to this: “We are not in the toilet paper business! We are in the cleansing and renewal business!” Then they pause and look around, waiting for the cheers and high fives to start as people salute genius. Don’t get me wrong. I believe strongly in establishing a higher purpose for your brand. And I think it is fantastic when brands are aspirational. The mistake is not in extending your brand position– in fact, we’ve covered some good tips on how to do it responsibly in this post and this one. The mistake is abandoning the position you already own in the customer’s mind before clearly establishing the new position– in their mind, not in yours. I’ve shown this chart inspired by Kevin Keller (one of my brand positioning mentors) before, but it is directly relevant here. Imagine this: You walk into a pet store, looking for a canary, because, i don’t know, maybe your coal mine is having dirty air issues or something. The salesman, eager to please, walks you over to a cage with a duck sitting in it. I may be yellow, but I ain't no canary, yo. So you buy the “canary” and take him into your coal mine, where he quacks incessantly. In fact, he is still waddling around quacking about ten minutes after you and all of the other miners are lying dead from breathing poisonous air. In this case, the brand promise (a canary) and the brand experience (a duck with strong lungs) did not match. If you had been looking for a duck, this little guy would have probably been perfect. But as a canary… not so much. One of my favorite brand rules is to call your ducks ducks. What do I mean? Make things simple for your customers. Don’t make them learn your language or analyze your intent in order to understand your message. Be straight with them. Oh no! An audit? That can’t be good, right? Actually, if you are a brand manager, a brand audit is an incredibly useful tool (I’m sure the IRS feels the same way about their audits). What is a brand audit? There are plenty of people out there who’d be happy to tell you about brand audits (here are a few interesting links). But as you found out in previous brand positioning tips, I’ve learned a lot about brand positioning from Dr. Kevin Keller, author of Strategic Brand Management and professor at Dartmouth (plug: buy the book, great section on brand audits). When we did our most recent brand audit at Red Hat, we used Dr. Keller’s approach. A brand audit is a deep introspective look at your brand from inside and out. Done the Kevin Keller way, the audit is made up of two pieces: 1) the brand inventory and 2) the brand exploratory. Whole Foods is a clear example of a mission-driven company. Over the years, they’ve taken strong activist stances on a number of topics related to healthy living. In fact, they are one of the few big corporations that I’ve seen actually link to their values as a main navigation element on their homepage. You’ve probably also seen these same values posted in your local store. I think this is awesome. And personally, I love Whole Foods. My guess is, based on their corporate values, that their core customer leans to the left politically. This week, in the Wall Street Journal, John Mackey, CEO of Whole Foods, wrote an editorial entitled The Whole Foods alternative to Obamacare. I see the strategy… a few weeks ago, Whole Foods launched a campaign to help empower Americans to lead healthier lives. At the campaign launch, Mackey even said Whole Foods is going to reverse the 14 year trend toward having more pre-processed food in their stores. I’m sure this editorial was one piece of a larger campaign strategy. And certainly most people would agree that Americans could use a healthier diet. In moving from talking about healthier food into talking about healthcare, Whole Foods has hit on a massively politicized issue. When your core customers lean to the left, and as a corporate leader you take a position to the right, you take a risk that people might start to question whether they really affiliate themselves with your brand promise. The Swingin’ Johnsons: Poor branding? Probably. A good friend told me a few weeks ago that I should write more about music here, since music is such an important part of my life. So I thought I’d give it a go. I play bass in a band called The Swingin’ Johnsons. Yes, that’s right. Occasionally, we call ourselves a Lyndon Johnson tribute band, when we need to water down the story, and most of our show posters have pictures of Lyndon Johnson on them. I don’t know exactly how we are paying “tribute” to Lyndon Johnson by what we do, but there it is.